I got gold ones this year! But did you know there are other ways of celebrating too? More “behind the scene” type things. Growing up, there are a few specific things I remember my parents doing to prepare for the New Year. 1. You must clean the house on the eve of New Year. Why? Because you are not allowed to clean on New Year’s day. 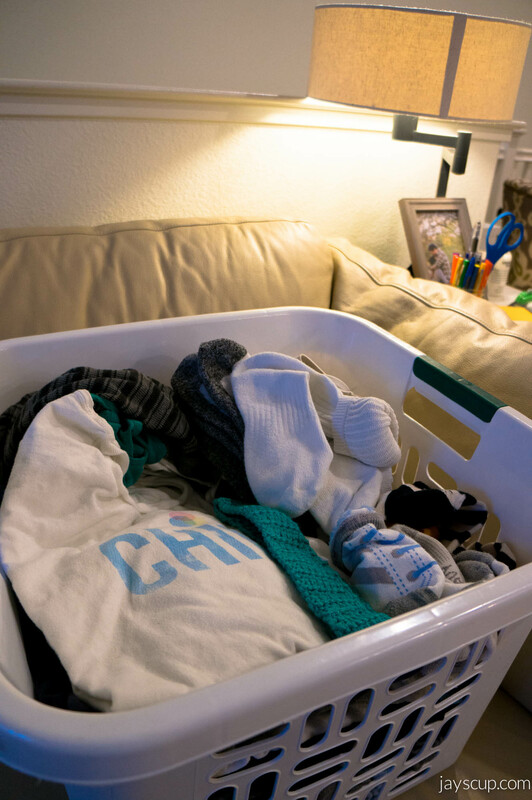 Cleaning symbolizes getting rid of all the bad luck and making room for the good. No cleaning on the first day of the year so that the newly arrived good luck cannot be swept away. I vacuumed on Wednesday so that counts right? Plus I did laundry today! 2. You buy groceries to have in your house overnight for various reasons. This year I purchased four items (thanks for the advice mom!) 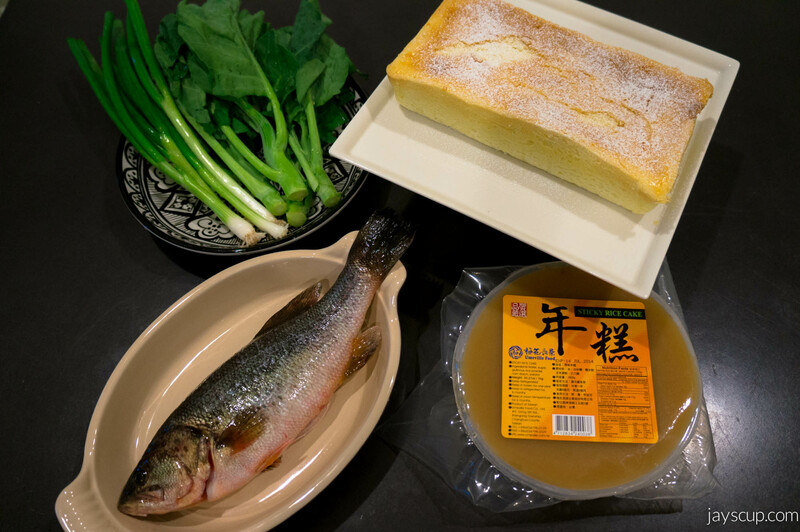 – cake and/or rice cake, fish, green onion, and gai lan (veggies). 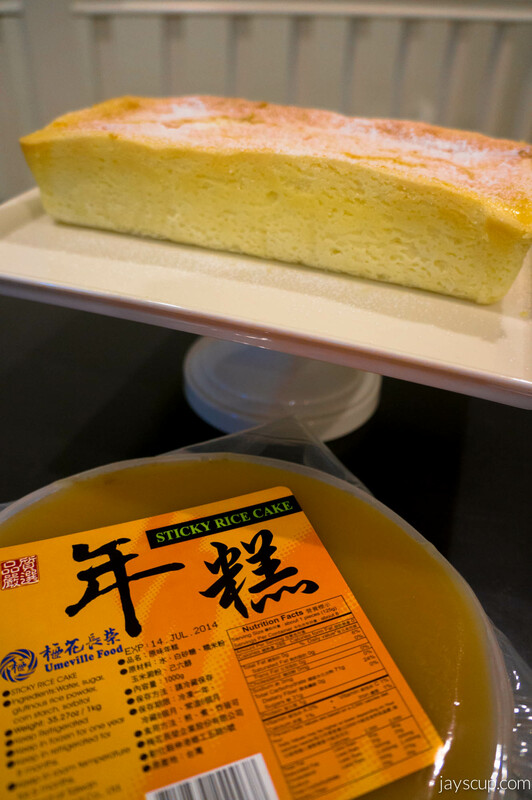 I bought sticky rice cake, and I also baked a Japanese cheesecake. Have you had a Japanese cheesecake before? It’s so delicious and fluffy! Recipe to come soon. “Let there be fish every year.” Fish is a homonym for surplus. 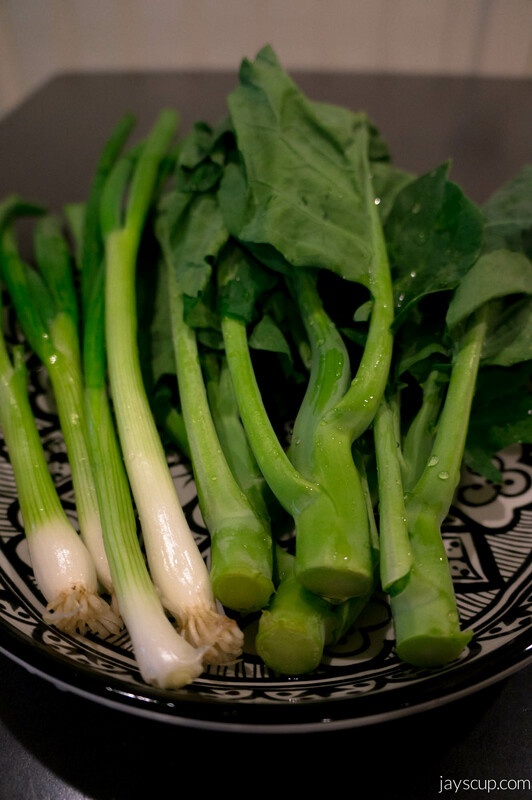 Onions are a homonym for smartness, and gai lan is to do away with laziness. Look at all my Chinese New Year treasures! 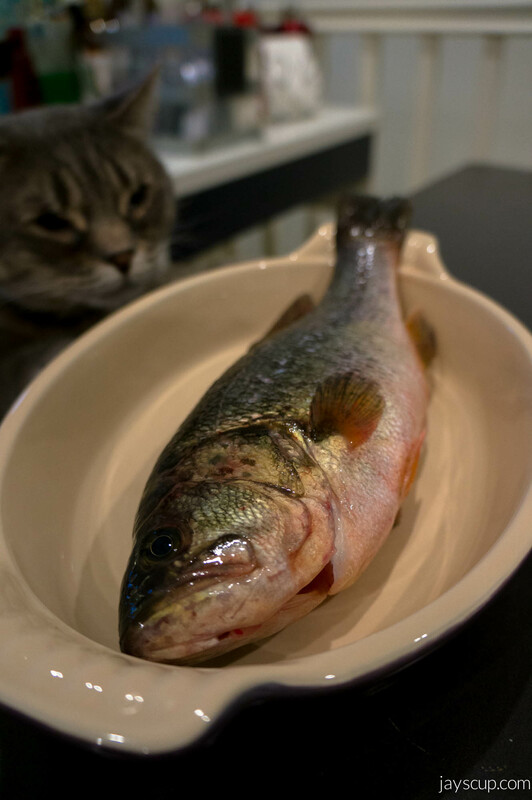 I’m going to make a delicious meal tonight! These are just a few things that I’ve started to carry over after I got married. Does your family have annual traditions? Will you share those traditions with your kids? Do share! Happy Chinese New Year to everyone reading! 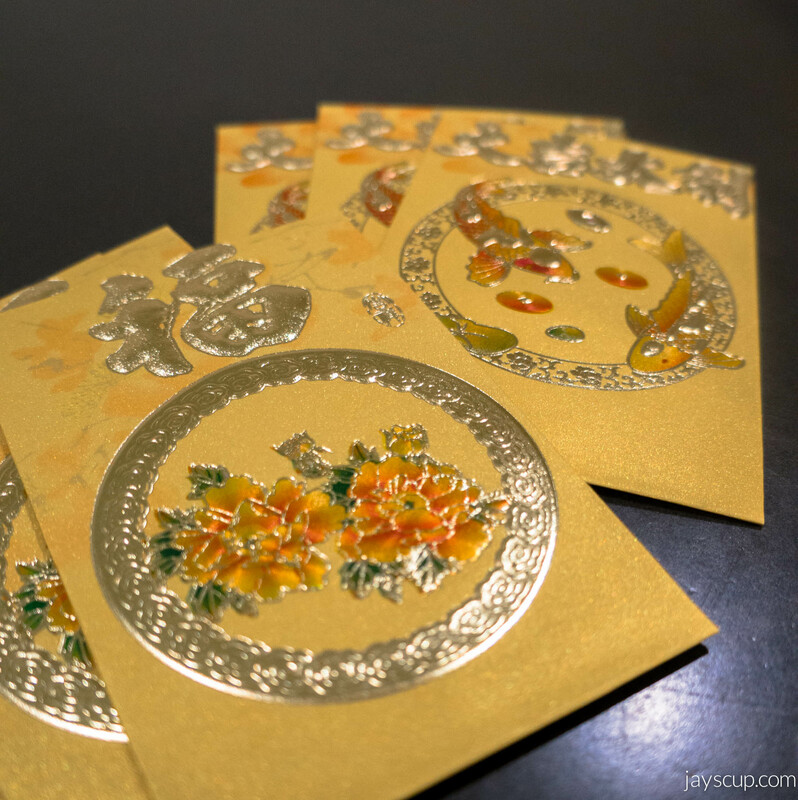 This entry was posted in Life and tagged chinese new year, gong hay fat choi, horse, red envelopes, traditions. Bookmark the permalink. Looks like Chubs is excited for the new year of surplus he’s about to get! Chúc mừng nam mới! What’s the significance of Japanese Cheesecake? Is it gluten-free? Hi DeAnna! It’s a super fluffy cheesecake. Standard cheesecake is very dense, but Japanese cheesecake has a texture like sponge cake! It’s really delicious. Many Asian bakeries have it – check out Sheng Kee.